The offensive line is often overlooked as a key to fantasy success. Those five gentleman (occasionally six when you count a blocking Tight End) provide holes for Running Backs to run through and protection for a Quarterback to find the best target and get off a clean throw. The Steelers O-Line makes James Conner, Antonio Brown, Juju Smith-Schuster, and Ben Roethlisberger top 10 performers in their respective positions. The Browns O-Line helps make Nick Chubb one of the best redraft waiver wire pick ups of 2018. The Patriots O-Line protected Tom Brady all the way to the Super Bowl. The Cardinals O-Line makes David Johnson look mediocre and turns Josh Rosen into a rookie flop. The Vikings O-Line took a fantasy winner in Kirk Cousins and turned him into a disappointment. The Raiders O-Line makes their entire team almost worthless for fantasy. The Arizona Cardinals have pieces that could be fantasy relevant in 2019. The concern is whether or not those fantasy pieces will have a chance to shine. What steps have they made to improve the chances of their highly paid offensive pieces? Will they have an opportunity to improve their O-Line ranking through the coming draft? April 25 is just a little over a month away! Part 1 in the offensive line series will begin with the Arizona Cardinals. Their Offensive Line was awful even when they were healthy. Throw in multiple injuries and you are left with the first overall pick in the 2019 NFL Draft. Josh Rosen was sacked 45 times in 2018. For a point of reference, Tom Brady and Ben Roethlisberger were sacked 45 times COMBINED. How can you expect to succeed when your Quarterback doesn’t have time to throw? The sad David Johnson drafters among us (my hand is also raised) do not need to be reminded about the 1.2 less yards per touch compared to his successful 2016 campaign. Left Guard Mike Iupati JR Sweezy Iupati signed with the Seahawks. Sweezy signed as Free Agent after spending 2018 with the Seahawks. Center Mason Cole Mason Cole Rookie in 2018 returns in 2019. Was healthiest member of the O-Line. Right Guard Justin Pugh Justin Pugh Spent a large amount of 2018 on the IR. Position was filled with backups. Right Tackle Andre Smith Marcus Gilbert Smith was released before the end of the 2018 season. Gilbert was a Free Agent signing. Tight End Ricky Seals-Jones Ricky Seals-Jones Signed Charles Clay from Free Agency. Justin Pugh is a former first round pick who was signed to a long term deal before the 2018 season. While adding strength at Right Guard, Pugh suffered a knee injury and was put on Injured Reserve in week 10. He returns at full strength for the 2019 season. I do not anticipate his NFL ranking at the Right Guard position to remain that low. If a healthy Justin Pugh is a reason to feel positive, then the addition of Marcus Gilbert is reason to celebrate! Marcus Gilbert’s arrival is a bonus having spent time as the starter for the stellar Steelers O-Line. These are two impressive gains that show that the Cardinals noticed their shortcomings and are working to improve. JR Sweezy is a statistical downgrade from Mike Iupati. However, Sweezy is a healthier player having spent much less time on the injury report. The downgrade in run and pass protection will be made up for with stability in the position as opposed to filling it with second and third string replacements. The addition of Charles Clay is welcome for Josh Rosen. One of Ricky Seals-Jones shortcomings is pass blocking. Charles Clay is known for that skill. 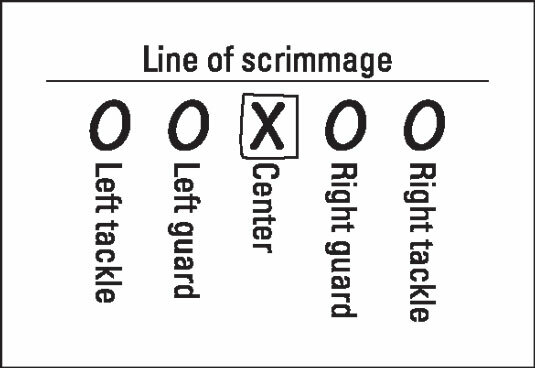 One note of caution: If the Cardinals don’t work on the below average skills of their Tight Ends, the player lining up could telegraph the play calling. Since Charles Clay is better at pass blocking, it would likely mean a passing play. Ricky Seals-Jones at the line would indicate a running play. DJ Humphries is mediocre when healthy (25th ranked Left Tackle) and has been injury prone. It would be in the Cardinal’s best interest to find a replacement. Meanwhile, it is my opinion that all the “Kyler Murray at #1 overall” talk is a bunch of hype to get a buyer for that pick. Perhaps move down a small amount and grab Jonah Williams, Left Tackle from Alabama. He is considered by some to be the #1 offensive lineman on the board and is a natural fit to the position. Those who do not rank him (thedraftnetwork.com) as the #1 offensive lineman have him at #2, instead. Even if the Kyler Murray rumors come true, the Arizona Cardinals have nine other picks in the 2019 draft as of 3-17-2019 and would certainly get an additional pick or more for Josh Rosen. Ten total picks is a lot of opportunity to improve their depth and find some potential improvements for their offensive line. A healthy 2019 for Justin Pugh and the addition of Marcus Gilbert are enough to make David Johnson a fantasy value at his current ADP (2.04, 10th RB off the board according to fantasyfootballcalculator.com). Will we see a return to his 2016 form? That is highly unlikely given the current overall offensive line ranking (31st in the NFL) and the forecast for wins and losses in Arizona; Vegas odds has them at 4-5 wins. They will be playing from behind quite often which will limit his upside. However, the improved Offensive Line will provide him some holes for some additional yards and more than the dismal 10 total touchdowns from 2018. Those same O-line additions will keep Josh Rosen (or Kyler Murray) off of his back. Not only will it improve their Quarterback longevity, it will also increase their fantasy stats. Is Rosen worth using a fantasy draft pick? No, he will consistently be on waivers in the most common league formats. He will have some usable weeks against their weaker opponents. Honestly, could it get any worse than it was in 2018? We know David Johnson’s capabilities. He didn’t have an underwhelming 2018 due to a lack of talent. We know that Josh Rosen has a hall of fame wide receiver target in Larry Fitzgerald and a talented Christian Kirk in the slot. All they need are those O-Line pieces to help them succeed. The Cardinals management has made strides in the right direction with some free agent signings. If they can stay healthy, there will be improvements. The outlook could be even brighter after the draft.